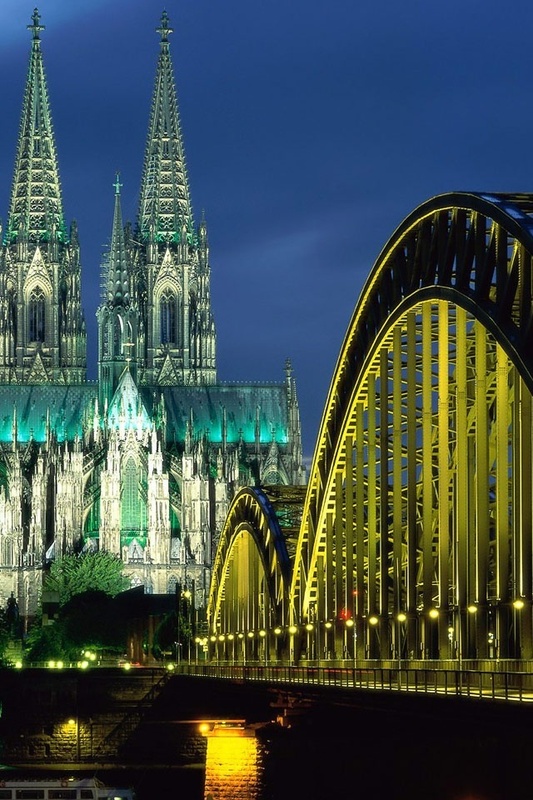 The Hohenzollern Bridge is a bridge crossing the river Rhine in the German city of Cologne (German Köln). It crosses the Rhine at kilometre 688.5. Originally, the bridge was both a railway and street bridge, however, after its destruction in 1945 and its subsequent reconstruction, it was only accessible to rail and pedestrian traffic. It is the most heavily used railway bridge in Germany, connecting the Köln Hauptbahnhof and Köln Messe/Deutz stations.